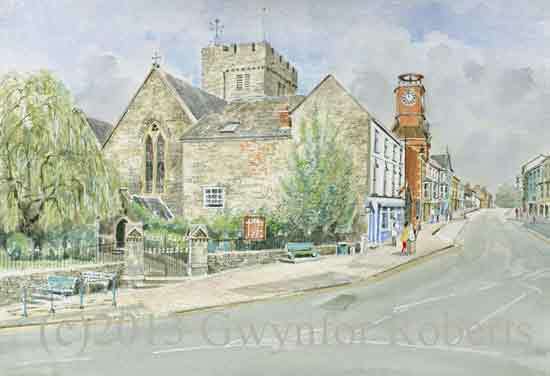 In this painting North Gate Street comes in from the left and joins Main Street through the Town. Shown is Saint Mary's Church and The Town Clock with a view looking East down Main Street. Pembroke castle is behind us as we view this painting.